The error “Communication with service process failed” is related to the application “Intel Driver and Support Assistant”. This error message doesn’t reportedly cause any loss of functionality of the computer but may indicate that there is a problem with some of your driver modules. Recently, Intel took a bold step and combined its older modules into this new application. Intel Driver and Support Assistant enables users to scan their computers for latest drivers available by Intel. This is the main application of Intel and provides a way to automatically update driver software instead of updating manually. What causes the error ‘Communication with service process failed’? The application might be corrupt or incomplete in its nature. Since this is a new application, it is still developing and releasing frequent updates. There are other utilities or modules clashing with the Intel software. Before you proceed, make sure that you have an administrator account and an active internet connection. If you encounter this error whenever you start your computer, it signifies that the application is unable to launch properly. Like mentioned before, this occurs because of incomplete software modules or conflict with other applications. We can try disabling the service from the startup and see if this fixes the issue. If you want to keep using the application and not disable it temporarily, you can implement solution 2. 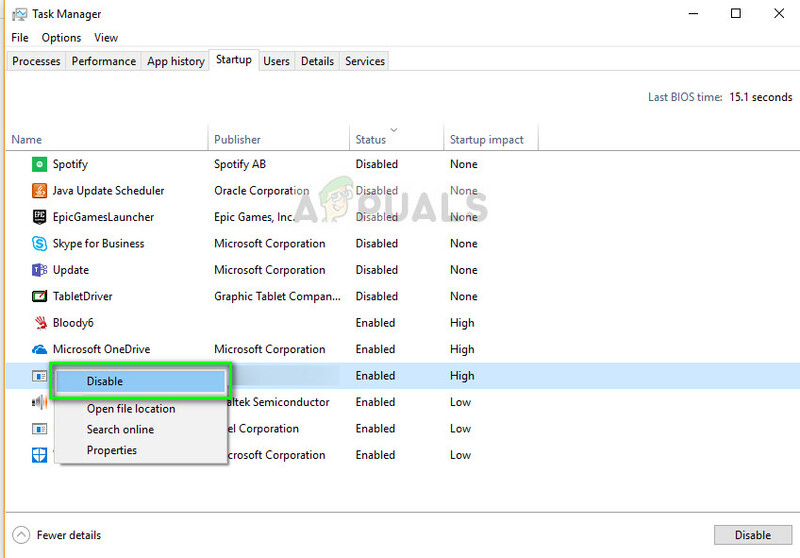 Once in the task manager, navigate to the Startup tab and locate the application. Right-click it and select Disable. Restart your computer completely and check if the error message is resolved. In the previous solution, we disabled the service temporarily so the error message will go away. If you want to keep using the Intel utility and make sure it operates without any problems, you can attempt at reinstalling the software. 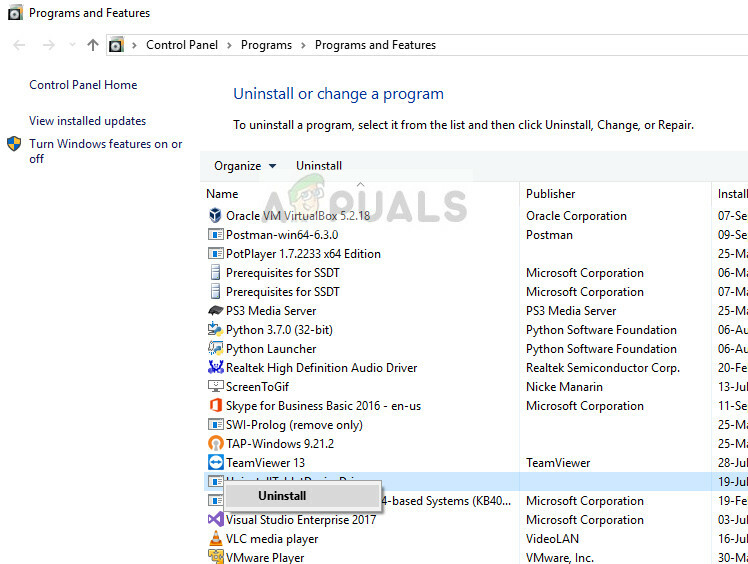 Once in the application manager, locate the entry of ‘Intel Driver and Support Assistant’, right-click it and select Uninstall. After uninstalling the software, open your browser and navigate to Intel’s official website (aka IDSA) for downloading the driver utility manually. After downloading the driver, right-click it and select “Run as administrator” and install the application on your computer with elevated access. Restart your computer completely and check if the error message is resolved for good.